The performers in this week’s highlights are as unique as their claims to fame. Oklahoma hosts a Canadian YouTube sensation, the voice of Pocahontas, and the area’s first aerial dance company on stages in Oklahoma City and Shawnee. Canadian YouTube sensation Walk Off the Earth gained wide acclaim early this year after a cover of “Somebody That I Used to Know” by Gotye went viral on the Internet. However, the band has been performing together since 2006. The Goodwill Industries of Oklahoma brings Walk Off the Earth to the Coca-Cola Bricktown Event Center for the Peace, Love, and Goodwill Benefit Concert on August 23rd. Local musicians John Fullbright, Maggie McClure, and Shane Henry also perform as well as The Voice finalist Tony Lucca. 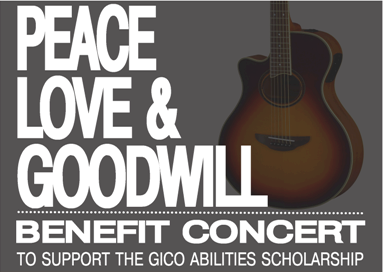 Doors open at 5:30 p.m. and proceeds benefit the Gico Abilities Scholarship. The University of Central Oklahoma’s Broadway Tonight Series returns for its 15th season this weekend with a limited run of “Pocahontas” on August 24th and 25th in Mitchell Hall Theatre. Judy Kuhn and the Young Voices of Edmond perform the songs from the Disney animated classic at 7:30 p.m. both evenings. Kuhn was the voice of Pocahontas in the Disney movie and has been nominated for three Tony awards. The Young Voices of Edmond is a community choral group of 100 children ranging in age from 5 to 15. The theatre holds a reception and meet and greet after the Saturday evening performance for Judy Kuhn and the Young Voices. Perpetual Motion Dance Company comes to St. Gregory’s University in Shawnee on Thursday, August 23rd to showcase their unique dance style. Since its beginning in 2002, Perpetual Motion became the first dance company in Oklahoma to incorporate aerial choreography into their repertoire of contemporary dance. They invented an “aerial carousel,” which is four swing like structures intertwined so multiple dancers can move around and use them at the same time. The concert at St. Gregory’s begins at 8:00 p.m. and includes pieces from their recent concert “Satori” and fan favorites. The Sam Noble Oklahoma Museum of Natural History in Norman hosts CNN’s 2007 Hero Sister Rosemary Nyirumbe for a special documentary screening and discussion on August 23rd at 6:00 p.m. The film and question and answer session address her humanitarian work and St. Monica's Tailoring School in Uganda. The Istvan Gallery in Oklahoma City holds an artist reception for Rebecca Edwards and her new exhibit “Time Sensitive Works” on August 24th from 6:00 to 8:00 p.m. Her paintings of personal reflections of time and space are on display from August 22nd through the 26th. Remote Area Medical Oklahoma comes to the Oklahoma Expo Hall of the State Fairgrounds this weekend only. Patients are served on a first-come first-served basis beginning at 6:00 a.m. on Saturday and Sunday. OKC Improv performs the final two shows of its summer season on Saturday at the Broadway Theatre in Oklahoma City. Comedy troupes including Baby Geniuses, Lights Up!, and Twin Prov take the stage at 8:00 and 10:00 p.m.